All prints are of high quality by Loxley Colour: Professional Photo Printing Services, and are without the watermark. Price is for 10 x 8 prints only. For any other sizes or custom prints please contact me. 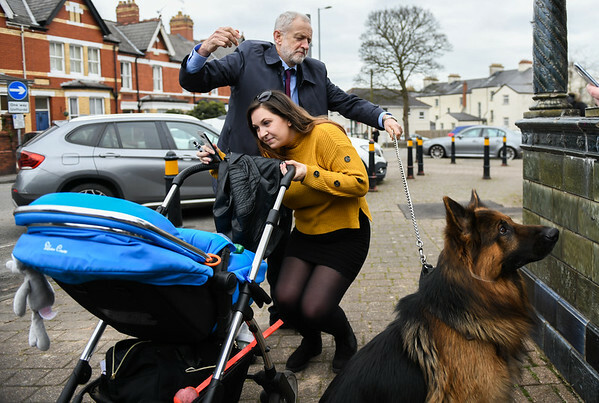 Jeremy Corbyn and the alsatian dog on the streets of Newport South Wales. Editorial Licence - From £150 please contact me.